For the 43rd year, the Bureau of Business and Economic Research traveled to nine cities across Montana to deliver its annual assessment of economic activity in the state. The 2018 Economic Outlook Seminar covered a wide range of topics from higher education to housing and tourism. We asked some of the presenters in the 2018 program to share their insights on the prospects for some key sectors of the state economy. Patrick M. Barkey is director of the Bureau of Business and Economic Research at the University of Montana. Q: What kind of year did Montana have last year? Early signs point to a state economy that gained momentum in 2017. The growth in total wages picked up substantially and the gains were widespread across a broad spectrum of industries – health care, construction, professional services and even mining. Mining wages, which include those paid to oil production related workers, didn’t grow, but their declines were less severe than in 2016. There was also continued improvement in the overall job market with hiring up and unemployment rates down. Q: What things do you look at when assessing the state’s future prospects? One basic issue looms large across a number of industries and that is the prices for the commodities we produce. Evidence of a global glut of grains, especially wheat, poses a significant challenge to Montana grain producers. The gains in prices for some natural resource commodities, particularly oil and copper, on the other hand, have improved prospects for producers here. Wood products is another important industry that has received some relief recently from higher prices for its output. Tech growth, particularly in western Montana, is another bright spot. Q: Will 2018 be a better year? We expect growth to be better for 2018 in the state economy. That’s not as bullish as it sounds – 2017 will end up being the second consecutive year of fairly slow growth in Montana. Tangible economic outcomes, such as the state of Montana’s general fund revenue collections, reflect that. So the bar for improvement is not very high. But we see the overall improvement in the U.S. economy being reflected here in Montana as well. George Haynes is a professor and agricultural policy specialist in the Department of Agriculture Economics and Economics at Montana State University. Q: I doubt that farmers and ranchers want to see another year like 2017 soon. How did it finally turn out? It was a challenging year for farmers and ranchers in Montana. Even though there was some improvement in both crop and livestock prices, wildfires and drought conditions severely limited production of pasture and crop land throughout the state. Spring wheat, barley and pulse (peas, lentils and beans) production was down nearly 40 percent from 2016. Q: Beyond weather, what has to happen to make 2018 a better year? The commodities produced in Montana depend on export markets – 75 percent of Montana wheat is exported. Producers are concerned about the move from multilateral agreements, like NAFTA, to bilateral training agreements. In addition, there is substantial long run interest in a livestock slaughter facility to process source verified, no growth hormone beef for the Chinese. A Canadian firm, Friesen Foods, is planning to process chicken, pork and beef in a new facility between Great Falls and Belt called the Madison Food Park. Q: What do you see looking ahead? Futures prices in wheat and cattle markets are near break-even levels. While western Montana experienced higher than average winter precipitation, much of the eastern part of the state remained in moderate to severe drought. If production returns to near historic averages, Montana producers can expect cash receipts to substantially exceed 2017 levels. These gross revenue gains will replace relatively high crop insurance indemnities and disaster program payments. Q: It looks like housing markets are getting back to normal. Is that true? Certainly the days of foreclosures and distress sales dominating the news are over. In fact, many markets in Montana are booming. And while the main story has been price appreciation, sales volumes have been roaring back as well. However, many markets have extraordinarily low inventories – the number of days a home is on the market continues to plunge and we are witnessing all the ingredients of a sellers’ market. Normally this would cause a surge in construction to meet the increasing demand, but the construction response has been underwhelming, particularly when it comes to single-family homes. Q: What has been the big story this year? The main story in residential real estate continues to be strong housing price growth. Areas that had strong economic growth before the bust – such as Bozeman, Missoula and the Flathead region – along with the energy patch areas like Sidney, Glendive and Miles City – have all experienced a higher than 75 percent increase in home values since the year 2000. On the other hand, many rural areas in the state have seen home prices rise by less than 50 percent in this same time period. Q: Will trends continue this year? We are expecting interest rates to increase to around the 5 percent level in the next couple of years. While this is still low relative to historical averages, it is quite a bit higher than current levels. Plus, the new tax bill that was recently signed into law may spur commercial development. Generally, we can expect more of the same in Montana’s real estate markets this year. Prices will remain strong, affordability will remain challenging and new construction will continue to underperform. Paul E. Polzin is director emeritus of the Bureau of Business and Economic Research at the University of Montana. Q: World oil prices have risen since mid-2017 and now stand at their highest levels since 2015. What does this mean for Montana? When compared to the other producing regions in the world, the extraction costs in the Bakken, which straddles the Montana-North Dakota border, have historically been in the low-medium range. The oil firms in the area, as well as those in other shale producing areas, have continued to invest in new technology and equipment to further reduce costs. Therefore, only a modest and sustained increase in the world oil price is likely to lead to increased drilling activities there. Recent data suggest that fewer workers in the Bakken are commuting and more are living in the same county where they are working. This suggests that future increases in oil activity will be accompanied by less social stress, because fewer workers will be commuting or living in temporary quarters. Q: What is the future of renewable sources of electricity here in Montana? The future for renewable sources appears bright. Electricity generated from renewable sources has grown significantly and engineering studies suggest that Montana is among the leading states in terms of wind generation potential. But the generating characteristics of wind farms do not match the demand for electricity. Current technology does not provide a mechanism to store large amounts of electricity and demand must be matched by supply in real time. Therefore, a back-up system must be provided for when the wind doesn’t blow or the sun doesn’t shine. Norma P. Nickerson is the director of the Institute for Tourism and Recreation Research in the W.A. 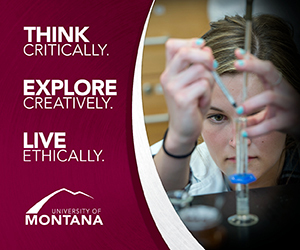 Franke College of Forestry and Conservation at the University of Montana. Q: Now that the smoke has cleared, what can we say about Montana’s tourist season last year? It was a challenging, but ultimately successful year for Montana’s nonresident travel industry. Tough because of the fires and smoke that choked the state for nearly 6 weeks and closed down parts of Glacier National Park for a few weeks. Good because before the fire season began, all indications were that 2017 nonresident visitation to Montana was going to be a record year. The 2017 ski season was the second highest on record and Glacier National Park was the first western U.S. park to see over 1 million visitors in one month (July). Q: What factors are key to Montana having a successful year for visitors? The tourism industry is affected by national economic trends. Extra money in the pockets of potential travelers means they will be more likely to take a vacation and possibly spend more on that vacation. Another force that affects both the tourism and outdoor recreation is the change in climate that Montana is experiencing. Warmer temperatures mean more rain at the lower elevations and an earlier snow melt. Wildfires and smoke will likely continue to shape our outdoor experiences. Finally, one issue rising in importance is the worker shortage. Sixty-one percent of businesses in the state felt the impact of shortages. Q: What are you saying for 2018? There’s positive outlook at the national level for travel. Nationally, we are predicting a 2 percent increase in leisure travel, a 1 percent increase in business travel and a 2 percent increase in international travel to the U.S. after two years of decreases. Montana only sees about 3 percent of our visitors from outside North America. Canadians, however, make up approximately 11 percent of all visitors to our state and with the Canadian dollar gaining some strength, we are already seeing some movement south into Montana. Overall, Montana tourism business owners are a little more skeptical. The eastern half of the state tends to be more pessimistic, while those in the west are optimistic. Todd Morgan is director of forest industry research at the Bureau of Business and Economic Research at the University of Montana. Q: Are Montana’s wood products companies doing better now that home construction is healthier? 2017 didn’t live up to the high expectations Montana’s wood products producers had hoped for. Lumber prices went up considerably and new home construction in the U.S. also increased, which is generally a good thing for mills. However, Montana’s mills had lower production due to challenges with log supply and the availability of workers. Weather and wildfires contributed to the log shortages and the availability of labor impacted mills, as well as the logging and trucking portions of the industry. Overall sales, employment and income to workers were relatively unchanged from 2016. Q: What are the issues Montana producers face? 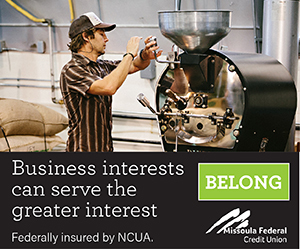 Attracting and retaining skilled workers in an environment of low unemployment is an issue that Montana mills, as well as logging and trucking companies, need to address. Likewise, the industry needs to demonstrate and effectively communicate its commitment to sustainable forest management. The amount of timber sold from federally managed forests, and the agency effort and analysis required to bring that timber to market, are policy issues that impact the long term viability of Montana’s forest industry. Q: Will we see a better year this year? New home starts in the U.S., imports from Canada, wood product prices, and a generally positive outlook for economic growth are favorable. I’m cautiously optimistic that demand and prices for wood products will remain fairly strong throughout 2018. There will certainly be a lot of attention on the Forest Service’s wildfire salvage logging program this year. With that activity should come a much needed increase in statewide timber harvest levels and an opportunity for Montana’s wood products industry to demonstrate its commitment to sustainability. Bryce Ward is associate director at the Bureau of Business and Economic Research at the University of Montana. Q: How did Montana’s health care industry fare last year? While it was a tumultuous year for health care in Washington, D.C., it was a good year for the health care industry in Montana. Employment and wages continued to grow. In total, between the third quarter of 2015 and the third quarter of 2017, Montana’s health care sector added nearly 4,000 jobs – a 6 percent increase. While growth in health care reflects many forces – including economic growth and population aging – Montana’s Medicaid expansion is a key driver of this growth. Q: That’s really strong growth. Is it sustainable? Health care is shaped primarily by population characteristics, policy and innovation. The combination of population growth and aging will continue to create strong demand for health care in Montana. However, the policy environment remains fraught with uncertainty. Q: What factors will shape how 2018 turns out? The demographic drivers of health care demand are slow moving, so they will continue progressing as expected. 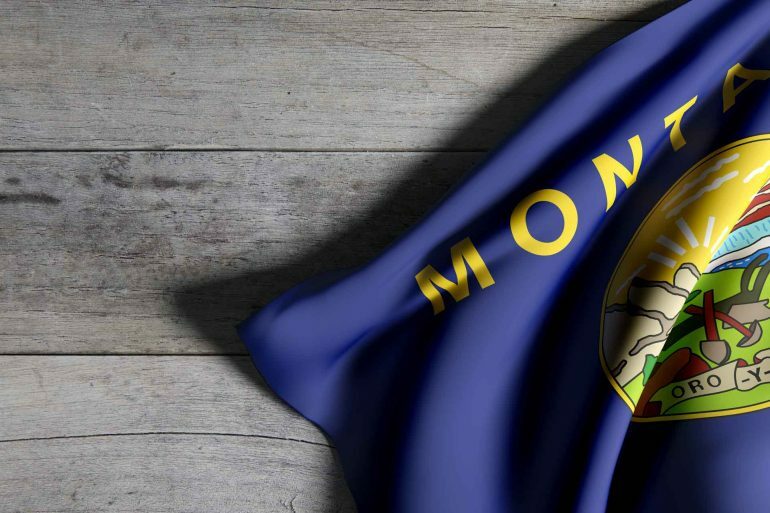 The policy environment remains the key source of risk and uncertainty for health care – will the Montana Legislature reauthorize Montana’s Medicaid expansion in 2019? What will happen in Washington, D.C.? 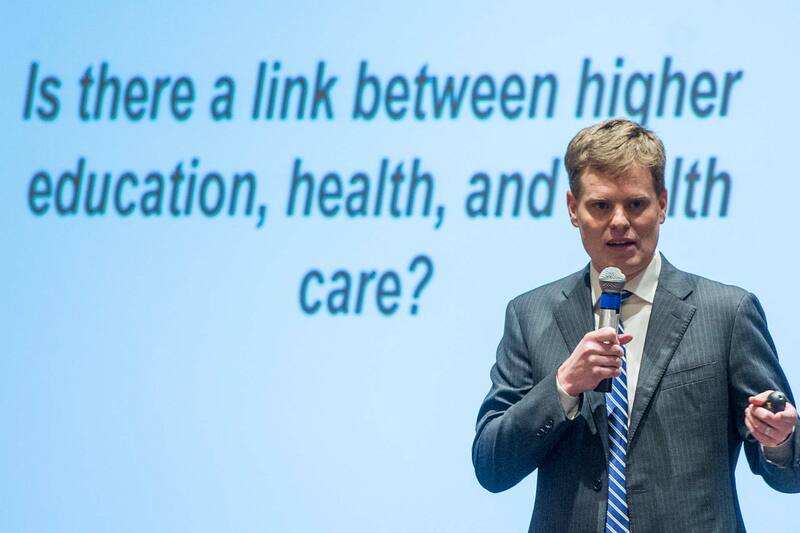 These questions loom large over Montana’s health care industry.